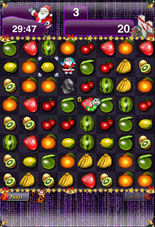 If you have got bored with similar games or if you want more funnier and entertaining match puzzle game, FruitedXmas is here for you. 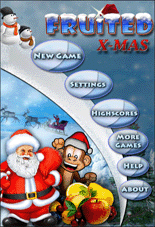 Its gameplay is better than other similar games with lot of creative fun involving Santa & monkeys. 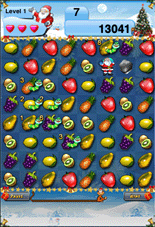 Fruited Xmas has four different game modes as below. Classic : Our popular move timeout based game mode. 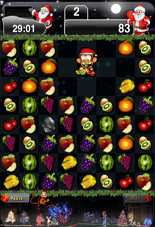 TimeAttack : Clear as many fruits in given time. 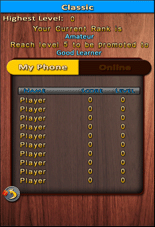 ScorePanic : Get a peak score and defend it. 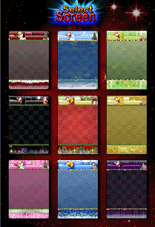 Continuous : Save & Play until you want to stop.